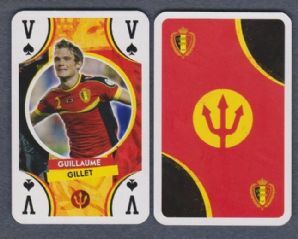 Football playing card issued by Jupiler under the Belgian Red Devils for the European Championships in 2016. Measuring approximately 5.7 x 8.7cm. 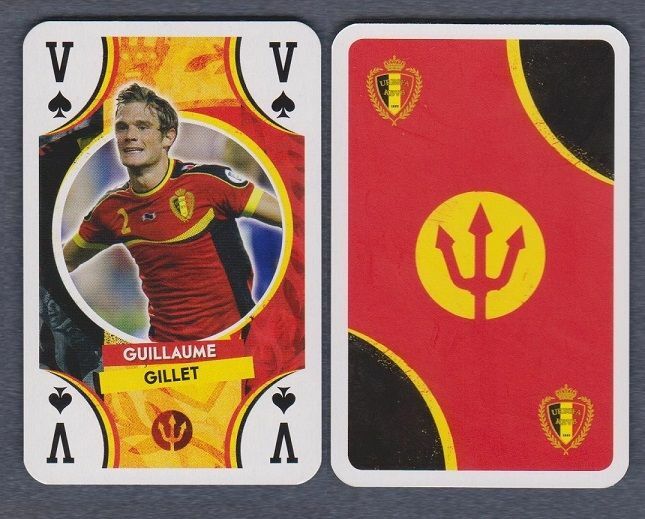 Depicting the Belgium footballer Guillaume Gillet, who played for Nantes, Olympiakos, Bastia, Anderlecht & Gent.